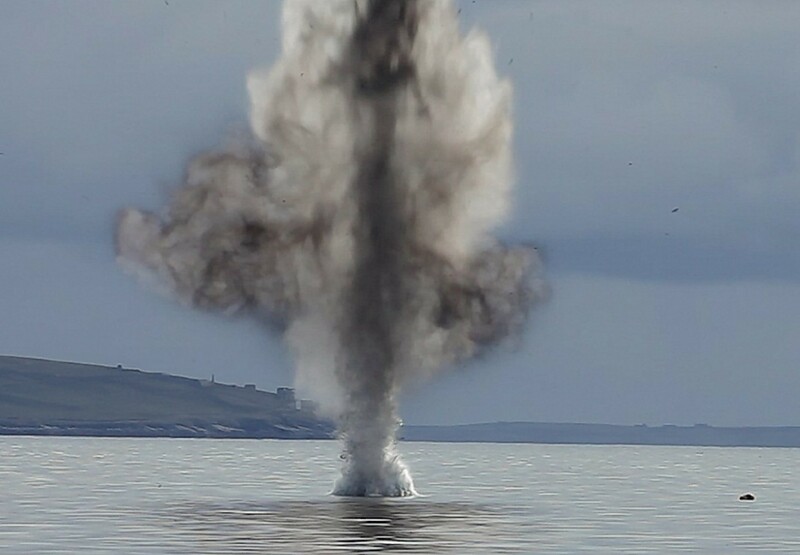 A World War II torpedo that was found in the waters off Orkney has been destroyed by experts from the Royal Navy. 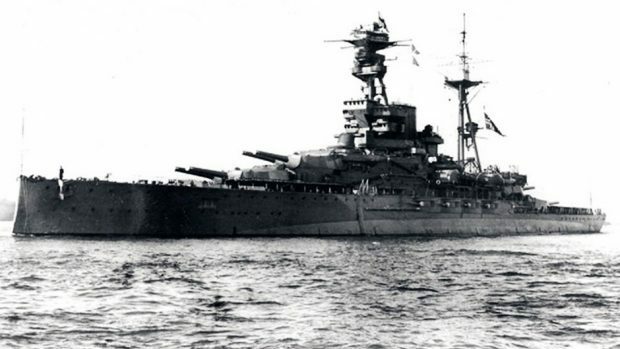 The 23ft device was believed to have been one of those fired at HMS Royal Oak during a deadly attack by a German U-boat in 1939, which led to the loss of 833 lives. It was found last month on the seabed of Scapa Flow during a routine sonar survey carried out by divers on behalf of Orkney Islands Council. A precautionary 3,280ft “no-anchorage area” was quickly put in place around the object, which was lying at a depth of 100ft. Yesterday, Royal Navy divers returned to Orkney and attached explosives to the torpedo on the seabed. However, when detonated, a section of the torpedo containing its own explosive charge broke free and appeared on the surface. David Sawkins, Orkney Islands Council’s deputy harbour master, said: “The torpedo had been sitting on the seabed of Scapa Flow for almost 80 years. “Although it posed minimal danger to shipping, our responsibility is to operate a safe harbour and, as it was likely to contain live explosives, the prudent course of action was to alert Royal Navy bomb disposal experts and arrange for its safe disposal. “This was carried out with great professionalism by the Navy divers and we are grateful for their assistance and expertise. “The hope now is that the rear section of the torpedo, including the propeller, will be recovered and after a full examination returned to go on display in Orkney later in the year.